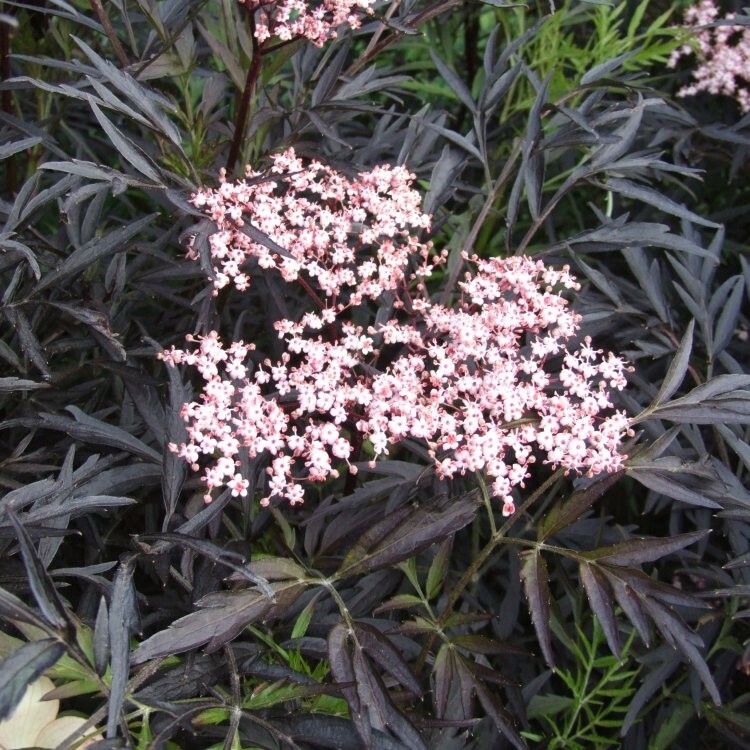 Black Lace has dramatic, almost black, dissected foliage and produces beautiful creamy pink buds and flowers from May to June, with flower clusters measuring 15cm in diameter. These are followed by blackish red berries during autumn. This is an exceptionally beautiful variety which offers great garden performance, if you can't grow Acers, but want a similar look, then this plant with its oriental feel is well worth a try. 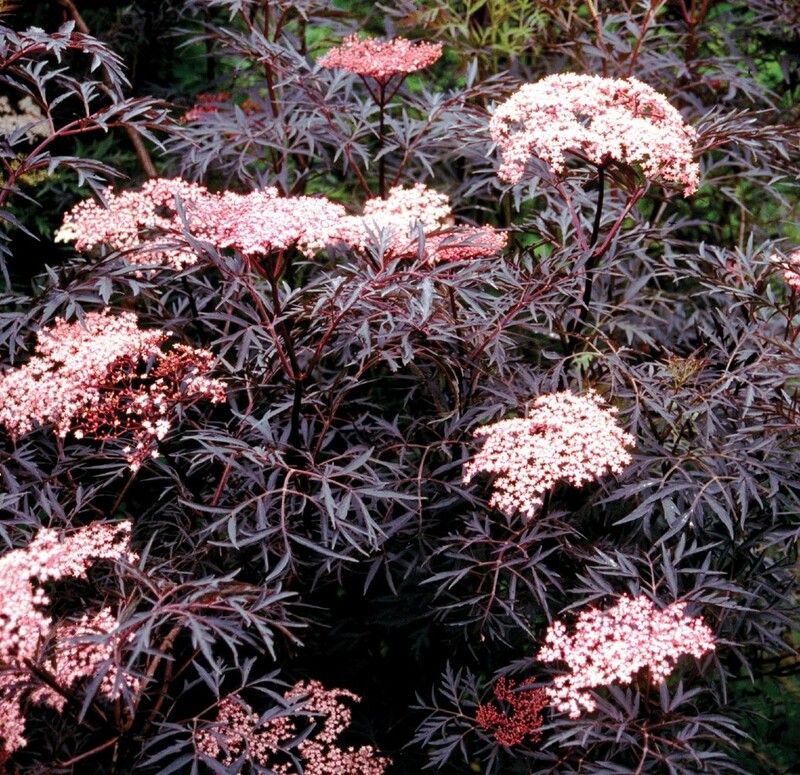 Black Lace is hardy and thrives in most garden soils in sun or partial shade and withstands frost and wind damage. It will reach a height of 3 metres in five years but with regular pruning it can be restricted to 2 metres. It can be used as a specimen plant, a backdrop to golden leafed plants or even as a dramatic hedge. Supplied in approx 2-3 Litre containers.